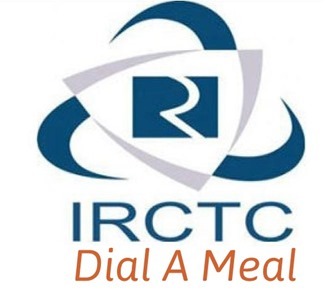 IRCTC Launches Dial-A-Meal In South! There are number of startups who have cropped up over last couple of years, who cater to Indian Railways passengers by providing them meals on trains, which are either pre-booked on phone or on the internet. The need for such service is high, due to the dismal quality of food provided by IRCTC through it’s own pantry within the trains. Many trains do not even have their own pantry, leaving the passengers at mercy of sub-standard food sold railway station vendors. Now, Indian Railway Catering and Tourism Corporation (IRCTC) South Zone has come up with an interesting initiative called Dial-A-Meal, where passengers can call a designated number (90432 777777) and order their favorite food from a reputed third party food chain. Currently IRCTC has partnered with with Ratna Café in Chennai Railway station to provide their menu of food items. The menu would have about 100 different types of items ranging from tiffin, snacks, sweets, biryani to mini-meals. The customers will need to call the number 40 minutes and advance and place the order for their food items between 6 a.m to 11 p.m. According to IRCTC, this service will be very useful to travelers who arrive at Chennai Central at odd hours. This is how it will work – Once the traveler places the order, he will need to visit the vendor’s outlet at the station and pick-up their food items and then pay the money. They will need to provide the reference number given to them while placing the order on the phone. Currently this Dial-A-Meal can only be ordered on a phone, but soon IRCTC will also introducing web based reservation system. While we applaud IRCTC taking this initiative, we are doubtful about it’s effectiveness. Travelers have food problems, especially during late night and early morning hours. And as the service is not 24X7, it will not help people who want to order before 6am or after 11pm. Secondly, they are not providing the food packets at the seats, which many of startups in this space are doing. Aged people traveling do not like to get down at the stations, and Dial-A-Meal service would have been great if they could have provided the food on passenger’s seat. Thirdly, in our view, IRCTC needs to better the quality of food they provide on the trains through their pantry kitchen rather than putting effort in partnering with third party vendors. We will see how well IRCTC’s Dial-A-Meal service does in future. What do you think, do let us know in comments. Live tracking of trains introduced by Indian Railways!